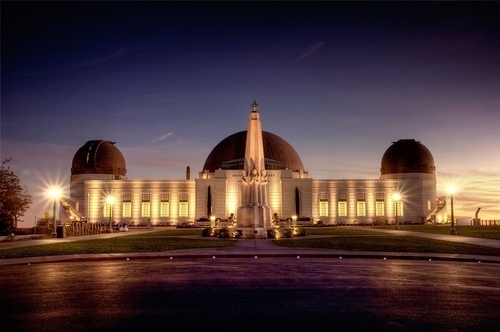 Discover the Best Sightseeing Destinations in Los Angeles! The Best Sightseeing Destinations in Los Angeles! It is no surprise that there are many things to do in Los Angeles. The fact that there are so many destinations to choose from is one reason why Los Angeles is such a famous tourist attraction in the first place. With so many options, it might be a little confusing to figure out what to see and where to go. When staying in downtown Los Angeles, there are some great destinations you do not want to miss! One of these places is the Griffith Observatory. Indeed one of the more iconic locations in the LA area, it is also a beautiful place that is nestled high in the mountains, making it a scenic destination as well. And even better, admission to enter the Observatory is entirely FREE! So stop by and learn all about space! They also offer shows in their planetarium every day for a nominal fee. Many people make a day of it and even bring along a picnic lunch or dinner to enjoy on the grass in front of the Observatory. There are also hiking trails located near the observatory that offer great views of the Hollywood Sign! Since the building itself is so high up, it provides a remarkable view of Los Angeles below. On clear days, you can see excellent views from downtown all the way to the Pacific Ocean! The Los Angeles County Museum of Art, or LACMA, is another destination that you won’t want to miss. If you love art, then this is the premier museum for you to go to during your stay in Los Angeles. This is because LACMA, is in fact, the largest museum of art in the Western United States! At the Los Angeles County Museum of Art, you can find over 120,000 artifacts ranging from the past to the present. With both world pieces and art that is specifically from Southern California, LACMA indeed has it all. At LACMA, there are also concerts, lectures, and other special events being offered. Visit their website for more information. General admission is $15 and $10 for seniors (62+). Members and children 17 and under get in for free. If art is not your thing, then take a trip to the Los Angeles Zoo instead! The Zoo is always a great destination, as it gives you the opportunity to walk around, enjoy the great Southern California weather, and enjoy the company of family and friends – all while viewing exotic animals! The Los Angeles Zoo has recently opened their latest state of the art exhibit, Rainforest of the Americas. At this exhibit, learn and discover how the rainforest is home to many different species! From the treetops down to the rivers, there are all kinds of insects, birds, and more that live in the Rainforest.